Departmental promotions are going to be made in Rawalpindi Police for which a promotion test will be conducted and only those candidates who will clear this exam will become eligible for promotion. 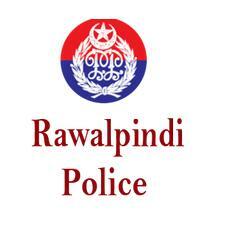 So in order to help all of our visitors in passing this exam with excellent marks, below we have provided Rawalpindi Police departmental promotion online test through which you can prepare for the actual exam in best possible way. For departmental promotions, Rawalpindi Police has decided to conduct a promotion test B-1. The test will be conducted in the month of March and the interested candidates have been advised to submit their applications to the establishment department till 15th March 2014. The Regional Police Officer Rawalpindi who is also performing the duties of CPO Rawalpindi at the moment, has already established a Police Officers board which will overlook the matters related to exam. The exam date has not been announced yet by the official authority and according to the sources, the final of the test will be announced after analyzing the security situation in the city. The Promotion test B-1 will consist of 200 total marks and candidate at least require 50% marks in order to clear the exam. The Constables who want to appear in this exam, must have their name in list A. So we strongly suggest all of our visitors to attempt online preparation tests through our website. As by attempting these free tests, candidates will be able to evaluate their current level of preparation as well as add new information into their existing knowledge. Along with this, these tests will also give you an quite accurate idea about what type of questions can be asked in a actual exam so that you will be able in a better state of mind for attempting the Rawalpindi Police departmental promotion exam.